The debut of the Grade 1, $7,000,000 Pegasus World Cup Turf is set for this Saturday at Gulfstream Park. For two years the Pegasus World Cup on the dirt had the entire spotlight, while now the turf runners will get their shot at a giant purse. A field of 10 horses are set to contest the inaugural running of the race, including a good mix of local and international runners. The card kicks at 11:30 A.M. Saturday at Gulfstream, with the Pegasus World Cup Turf scheduled to go off at 4:50 P.M. ET. Trainer Bill Mott will lead the American charge with Yoshida, who moves back to the turf, after a couple of solid efforts on the dirt. 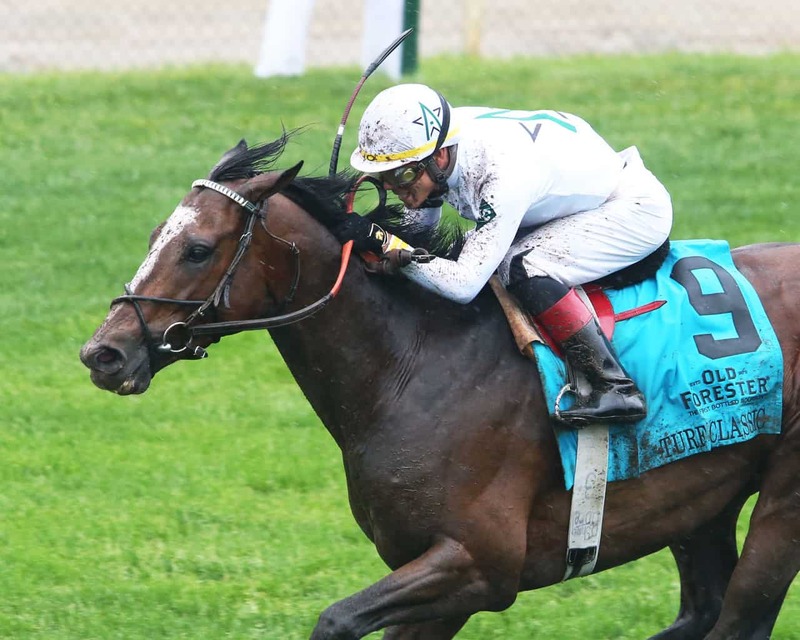 It is rare to see a horse that can run so well on both surfaces, which is exactly what Yoshida has done, with him being a Grade 1 winner on both turf and dirt. Mott also brings Channel Maker into the race, who is also a Grade 1 winner on the turf. The pair could prove to be formidable, with Mott being very excited about Yoshida’s return to the grass. Areolithe, a Group 1-winning filly from Japan, will look to try her hand in the United States for the inaugural Pegasus World Cup Turf Invitational. She has built up quite the resume in her native land, winning or finishing second in nine of 13 starts while amassing earnings of over $3 million. Her biggest win came in 2017 when she took home the prestigious Group 1 NHK Mile Cup. You can’t run a big turf race in the United States without Chad Brown, who will send out Bricks and Mortar for the inaugural running of this race. Bricks and Mortar won each of his first four career starts including, the Grade 2 National Museum of Racing and Hall of Fame Stakes in 2017. However, he has had trouble staying healthy, but returned last time out off of a layoff of over a year to win an optional claiming event at Gulfstream Park. The horse is two for two over this track, as he also broke his maiden at Gulfstream. The full field for the inaugural running of the Pegasus World Cup Turf includes: Magic Wand, Yoshida, Channel Maker, Aerolithe, Next Shares, Fahan Mura, Bricks and Mortar, Delta Prince, Catapult, and Dubby Dubbie. #3 Channel Maker – Can the “other Bill Mott” pull off a 12-1 upset in this spot? There is no doubt this horse struggled at the Breeders’ Cup; however, his races leading up to that event were extremely good. Two races back he dominated rivals in the Grade 1 Joe Hirsch Turf Classic Stakes, earning a speed figure that will beat anyone in this race. The horse was also solid at Saratoga in two tough stakes events as well. The biggest key could be his track record on soft turf courses, which is where he has been best. With rain in the forecast for most of the week, even if it doesn’t rain much on the actual day of the race, the turf could have still have some give in it. At this morning line price, he’s worth a serious look. #2 Yoshida – It is great to see this horse back on the turf, which is still most likely to be his best surface. You can’t argue with his dirt performances, though, as he won the Grade 1 Woodward Stakes, before finishing third in the Grade 1 Breeders’ Cup Classic. Still, the turf is where he has put in his most impressive efforts. He also has proven to like a soft turf course, which is exactly what we might see on Saturday, with rain in the forecast all week long for Hallendale Beach. Rain or shine, this classy horse will be a major factor. #7 Bricks and Mortar – If Chad Brown has a horse in a big turf race you have to pay attention. Especially in the case of Bricks and Mortar, who was an up and coming star at one time. After a monster 3-year-old season, injuries caused him to miss almost 15 months of action. Finally, he returned last time out in an optional claimer at Gulfstream Park, where he was victorious by a half-length. That win was encouraging, but the fact Chad Brown runs him back in this race is even more encouraging, as it’s a sign the horse is doing very well. He will show up with a solid effort. #5 Next Shares – If you can get him at his morning line price of 15-1, he is a must play. Next Shares has won three of his last four races, with two of those three wins coming in graded stakes events. This 6-year-old is usually dependent on a solid pace to run at up front, which is something he should get today, with a couple of speed balls signed on to run. He is coming into the race in perfect order, while getting Tyler Gaffalione back in the saddle. You can expect him to make a big run at the end. #9 Catapult – We will see if he can stretch out successfully for his 6-year-old debut after nearly winning the Grade 1 Breeders Cup Mile in his last start. The horse does have a win at a 1 1/8 miles, which is a solid sign that this distance will suit him well. He is a fringe player for top honors in this spot; however, he is definitely a horse that needs to be on all tickets underneath. #8 Delta Prince – He will move back to the turf today after a failed dirt experiment in his last start. There is no question the turf is the surface he prefers, while it also looks like he might get a solid set up from a pace scenario today. However, it is starting to become a question if he is good enough to win a race of this caliber, while it’s also questionable that he will like going this distance. Almost all of his races have come at a mile or less, which makes this spot a bit questionable. #1 Magic Wand – It is always good for European shippers to have a race under their belt in this country, with the conditions being totally different in the United States. Magic Wand does have that experience, when finishing fourth in the Grade 1 Breeders’ Cup Filly and Mare Turf. That finish was somewhat similar to a lot of her finishes overseas in big races, where she has been close, but can’t quite break through with a massive win. She will be in the mix again in this race, but will need to work out a decent trip from her inside post. At 9/2 she may not be worth bet, but if her odds float up, she will become attractive. #4 Areolithe – Both of the overseas shippers have question marks, with Areolithe being the biggest mystery of them all. There is no doubt she could win this race; however, she could also show up with a non-effort just as easily. She will be racing outside of Japan for the first time in her career, which is also something that should play a factor. She does have some solid back class, though, including a Group 1 win in the NHK Mile Cup, which makes her interesting if her price floats up just a bit. #6 Farhan Mura – This horse will blaze early, which should set it up well for closers, with Dubby Dubbie also in the race. There is no doubt Farhan Mura will be first at the quarter pole, but staying around for the entire race will be a difficult challenge. #10 Dubby Dubbie – The ultimate long shot for Ron Paolucci Racing, who likes to take swings at these types of fields. The horse will have a tough time against this group; however, he could be a bit of a pace presence in the race.